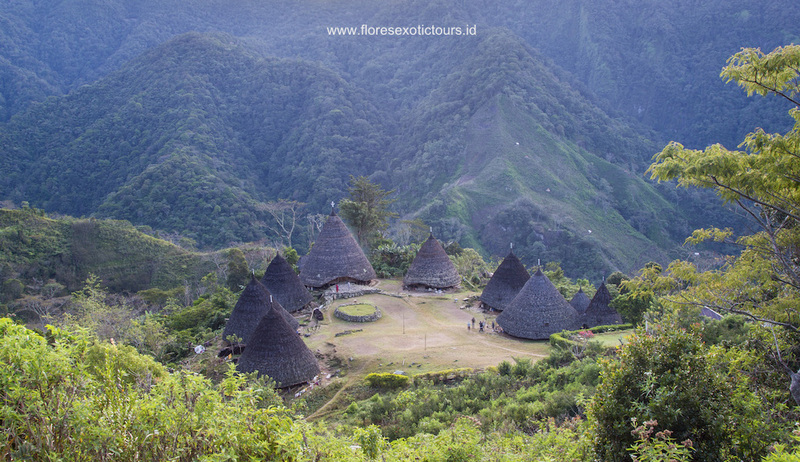 Wae Rebo Village is an old Manggaraian housing, situated in pleasant, isolated mountain scenery. The village offers a unique opportunity to see authentic Manggarai housing and to experience the everyday life of the local community. In Wae Rebo, visitors can see mbaru niang, traditional, circular cone-shaped houses with very unique architecture. Nowadays, it is still a place to hold meetings, rituals and Sunday-morning prayers together.